https://www.golfdiscount.com/taylormade-2016-m2-driver?___store=default 69773 TaylorMade 2016 M2 Driver https://media.golfdiscount.com/catalog/product/d/r/driver_m2_proile.jpg 399.99 399.9900 USD OutOfStock /Brands/TaylorMade/Drivers /Brands/TaylorMade/M Series /Brands/TaylorMade/M Series/M2 /Brands/TaylorMade/M Series/M2/Drivers TaylorMade's M2 is built with a multi-material construction – the same as M1 - that features an ultra-light, ultra-thin and high-strength Carbon Composite Crown; unlocking exceptional distance and forgiveness for more golfers. Similar to the composition of M1, the use of TaylorMade’s carbon composite crown design in the M2 driver has resulted in a significant decrease in overall crown weight and with that, engineers have been able to lower the CG considerably. The total weight savings of 5g creates a dream scenario for our engineers, giving them enough discretionary weight savings to generate a remarkably hot trajectory with maximized forgiveness. Whereas the savings in weight in the M1 was used to develop the company’s revolutionary T-Track System, the combination of the carbon crown with titanium casting technology in the M2 driver has enabled engineers to move the CG into a position of simultaneous speed and forgiveness. With forgiveness a priority in M2, TaylorMade engineers focused on three key performance features that deliver ball speed protection on shots struck away from center-face: inverted cone technology (ICT), a redesigned Speed Pocket; and increased moment of inertia (MOI). The M2 driver utilizes inverted cone technology (ICT) to increase the size of the high-COR area of the clubface. ICT utilizes a thinner clubface, which would be above the legal limit for COR at the center if it were uniform thickness. However, the inverted cone feature is then added to the center of the clubface to bring that section back down to the legal range, while the higher COR remains out on the heel and toe areas of the face. Lastly, the center of gravity in the M2 driver has been positioned low and slightly further back in the clubhead. In M2, the moments of inertia (MOI) are among the highest of any club we’ve ever produced. The increased MOI resists twisting at impact, resulting in farther and straighter shots when struck off-center. Like M1, the M2 driver head is designed with a classic club head shape and fast, aggressive aesthetics where the black carbon meets the white titanium. 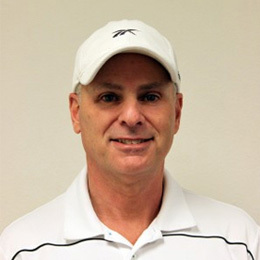 The design suits the eye of better players from address but delivers performance for all, with maximized aerodynamics, face area, and a low center of gravity. The structural changes in the design of the club head include a lowered front face area that still has the traditional rounded face shape from address, as well as a raised front crown and sloping rear crown section to maximize low CG without compromising the aerodynamic benefits. The 12 position loft sleeve of the M2 driver provides up to four degrees of loft adjustment. In addition to the stock Fujikura Pro shaft, TaylorMade will offer upwards of 30 additional premium custom shaft options at no upcharge. Multi-Material Construction - M stands for Multi-Material and it’s the key that unlocks performance in M1. This construction is highlighted by proprietary 7-layer Carbon Composite Crown that is precision-formed and built ultra-thin, ultra-lite and high strength to maximize weight savings. This addition has allowed engineers to place the weight lower and further back on the sole for a more efficient power transfer; giving golfers more ball speed. Massive Sweet Spot - Engineered with high MOI, Inverted Cone Technology, and a redesigned Speed Pocket – three features that combine to product maximum forgiveness across the face. Hot Trajectory – A low CG projection combined with a new Speed Pocket and exceptional aerodynamics generates a hot, high launch/low spin trajectory. Best in Class Sound – Internal acoustic engineering delivers a solid, hot, and crisp sound at impact. Loft Adjustability – The 4° (+/- 2°) sleeve allows golfers to dial in their loft, lie, and face angle for maximum performance. Multiple No-Charge Shaft Offerings – The stock Fujikura Pro is one of several no-charge aftermarket shafts available. TaylorMade's M2 is built with a multi-material construction – the same as M1 - that features an ultra-light, ultra-thin and high-strength Carbon Composite Crown; unlocking exceptional distance and forgiveness for more golfers. Got before Christmas - as advertised. Looking forward to swinging the club soon. Thanks. just as I anticipated a great purchase, the driver is long and easy to move the ball. You get exactly what you ordered and in very prompt time...thank you Golfdiscounts! Ray Brown. I recently upgraded from the SLDR to the M2 and an very happy with the change. I don&#x27;t see a lot of difference in distance on drives I hit really well, but the SLDR was one on the hottest drives on the market for the last 3 years so no shock there. While the M2 may only be a few yards longer on well struck balls, it is incredibly more forgiving and long on balls not hit my best. By far the most forgiving driver I have ever hit and as long as any I&#x27;ve hit as well. Taylormade did send the 6.0 HZDRUS shaft by mistake so I contacted GolfDiscount and the immediately corrected; and I was sent the correct 6.5 shaft before returning the 6.0 via a prepaid label. Great purchase and buying experience, will do business with both parties again. The M2 features a multi-material construction highlighted by a proprietary 7-Layer Carbon Composite Construction Crown that allows more weight to be positioned in the bottom of the sole. Additionally, in the M2’s case, a Low-Back CG will enhance forgiveness and increase distance. The Speed Pocket provides hotter ball speeds, lower spin, and really enhances hits low on the face. Internal Acoustic Design delivers a solid hit and crisp sound at impact. The M2, with its Low-Back CG will fit just about any player out there who just does not want to mess with an adjustable driver like the M1. Players with negative attack angles might see better numbers with the weight moved forward on the M1 over the M2. This is TaylorMade’s distance club with a longer and lighter shaft. Having played so many different TaylorMade drivers in the past, I was very interested in the M series but found myself waiting to hit the M2 based on the low-back CG. The head at 460cc seems a tad big to me, even though the face depth is slightly on the shallower side. The contrast of the black face against the white front crown area makes the face size look on the small side compared to past TaylorMade offerings. I found the sound and feel were fairly muted. Both have excellent penetrating ball flights with lower spin rate. 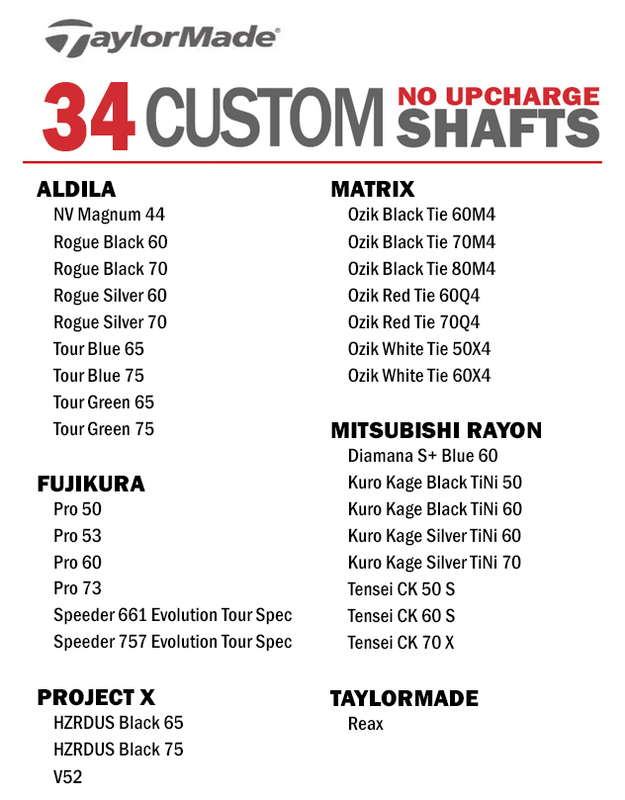 The 45.75″ stock length is way too much from most, but through TaylorMade’s Custom department you can order any length of the 30+ no up charge shafts that are offered, the most in the industry. Lots to like about this new offering.